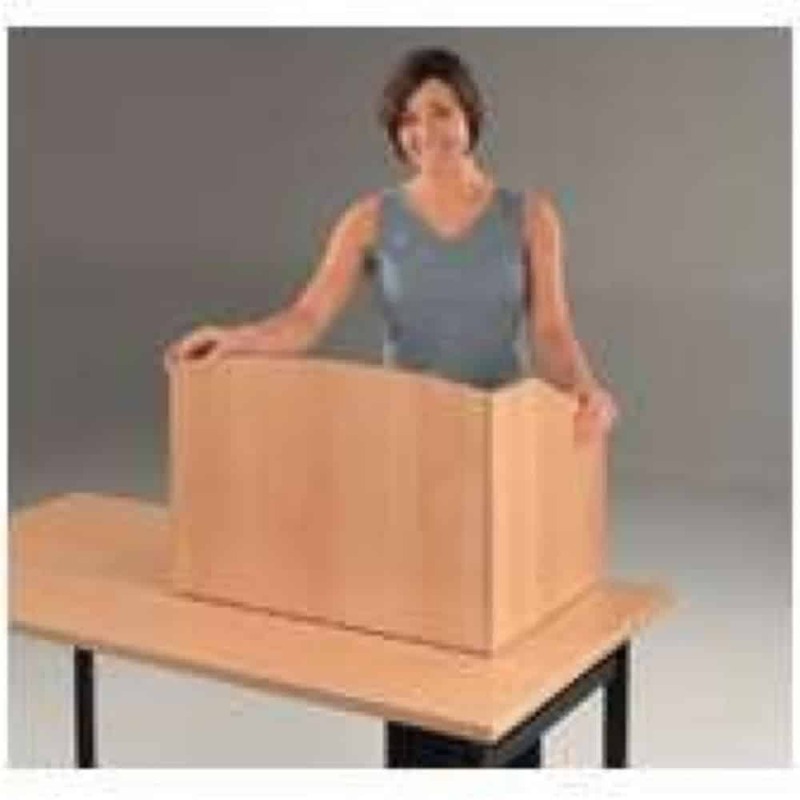 Metroplan’s table top lectern provides the ideal compromise where floor space is at a premium. The lectern sits neatly on the end of any conference table. It also provides the ideal reading height because of its sloping shelf for presentation material. It also provides you with ample space to accommodate binders or clipboards. Similarly styled to the pedestal lectern, this unit also folds and has a clock and light unit fitted.